The House GOP once again blocks a marijuana reform, the DEA reschedules a marijuana-based drug, Ontario sets its pot sales rules, and more. House Committee Blocks Marijuana Tax Relief Bill. The House Rules Committee, led by Rep. Pete Sessions (R) has voted down an amendment that would allow marijuana businesses to deduct business expenses like any other businesses. The amendment would have exempted pot businesses from a federal tax provision -- 280E -- aimed at preventing drug cartel leaders from writing off yachts and other luxury items as business expenses, but now forces state-legal marijuana businesses to pay an effective tax rate of up to 70%. California Bill to Allow Pot Sales, Consumption at Special Events Becomes Law. Gov. Jerry Brown (D) has signed into law Assembly Bill 2020, which "authorizes a state licensing authority to issue a state temporary event license to a licensee authorizing onsite cannabis sales to, and consumption by, persons 21 years of age or older at a county fair or district agricultural association event, provided that certain other requirements are met." New Hampshire Could Gain $58 Million a Year from Legal Pot. The state Department of Revenue Administration has released a new estimate of tax revenues if the state legalizes marijuana. The department said the state could take in $58 million a year, although it acknowledged actual revenues would depend on a range of factors, including how high taxes are set in the first place. DEA Reschedules Marijuana-Derived Drug Epidiolex. 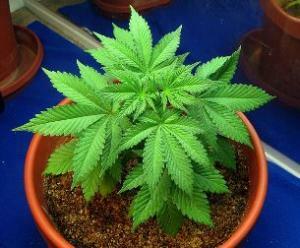 The DEA has rescheduled Epidiolex, a marijuana-derived drug manufactured by GW Pharmaceutical. The move comes after the FDA approved the drug in June and clears the way for GW to begin selling the drug. Epidiolex is the first FDA-approved drug derived from marijuana. Canada's Largest Province Sets Rules for Retail Marijuana Sales. Officials in Ontario on Wednesday unveiled rules to govern retail marijuana sales in the country's most populous province. There will be no cap on the number of pot shops, but large marijuana producers will be limited to one shop each. Pot shops will be operated by private companies but will have to buy their marijuana from the provincial government. Ontario accounts for 40% of all Canadian pot sales, according to Statistics Canada.